Over the past few decades, there has been a sharp increase in the number of elderly prisoners, and hence a rise in the number of prisoners dying in custody. 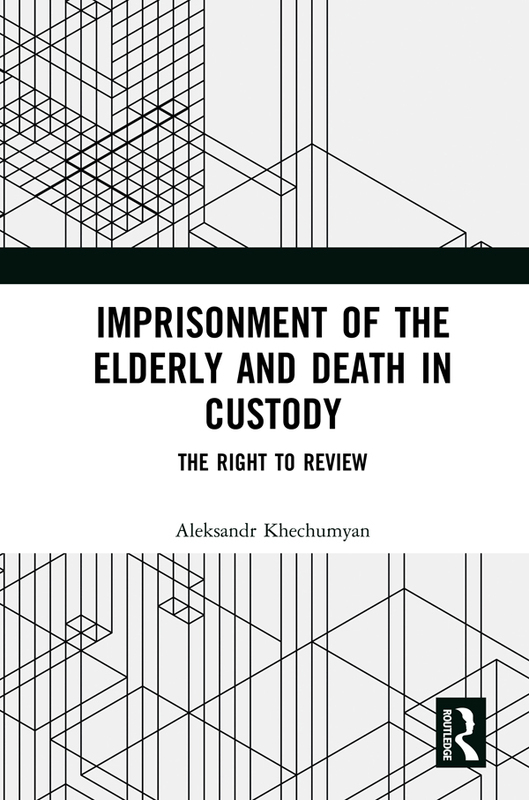 In this book, Khechumyan questions whether respect for human dignity would justify releasing older and seriously ill prisoners. He also examines the normative justifications which could limit the administration of the imprisonment of the elderly and seriously ill.
Khechumyan argues that factors such as a prisoner’s age and health could alter the balance between the legitimate goals of punishment, rendering the continued imprisonment ‘grossly disproportionate’. To address these issues, Articles 3 and 5 of the European Convention of Human Rights are extensively examined. This book is a valuable resource for academics, researchers and policy-makers working in the fields of Criminal Justice, Human Rights Law, and Gerontology.